Home » Mental Health » Suicide? Early in 2013 The Guardian’s James Meikle, based upon data from the Office for National Statistics (ONS), reported that 6,045 suicides were recorded in the UK among people aged 15 and over during 2011. This figure represented a significant rise that, unfortunately, was part of an upward trend. (In 2001, Kevin Brewer noted that suicides in the UK were about 4,000 per year.) The suicide rate was 11.8 deaths per 100,000 people, the highest since 2004. In England, the suicide rate was 10.4 deaths per 100,000; highest in the north-east, at 12.9, and lowest in London, at 8.9. In Wales, the suicide rate was 13.9, up from 10.7 in 2009. Meikle acknowledged that suicide rates were slightly lower in Northern Ireland – ie: 289 suicides in 2011, down from 313 in 2010 – and Scotland, though clearly still concerning. The male suicide rate in 2011 was the highest since 2002, and among 45-59-year-old men the highest since 1986. For men, the suicide rate was 18.2 per 100,000 population. The rate was highest among males aged 30-44, at 23.5 per 100,000. Among 45-59-year-old men the figure was 22.2 per 100,000. Female suicides rose to 1,493, or 5.6 per 100,000. Suicides among 15-29-year-old females rose from 2.9 per 100,000 in 2007 to 4.2 per 100,000. American figures, as reported by Tony Dopoukil (2013), show a startling similarity. The United States, with a near-20% increase in the annual suicide rate, is expected to reach 40,000 suicides in 2013, with a total of over 400,000 deaths in the decade to 2013. In a slight difference to the UK, Americans 45-64 are the age band with the highest suicide rate, increasing by more than 30% in the decade to 2013. There is an effect of ethnicity in the American figures: the suicide rate for white males in the 45-64 age band rose by 50% in the decade to 2013 while it rose by 60% for white females in that age band. As the map graphic above shows – key left – suicide is far from being a Western phenomenon in the early 21st Century, with Russia and her former and current satellite states having astonishingly-high rates. In 2008/2009 suicide was the tenth leading cause of death, with about 800,000 to one million people dying annually, giving a mortality rate of 11.6 per 100,000 persons per year. According to World Health Organisation figures, rates of suicide have increased by 60% from the 1960s to 2012, with these increases seen primarily in the developing world. For every suicide that results in death there are between 10 and 40 attempted suicides (aka parasuicides). Interestingly, in China suicide is the 5th greatest cause of death. The country has one of the highest female suicide rates in the world and is the only country where it is higher than that of men. Inevitably, though, given the inevitable high levels of cultural bias, most ‘scientific’ research into suicide has been conducted in Western countries and has been influenced by Western philosophical concepts. Suicide is arguably the ultimate deviant act since it goes against all ideas of self-preservation – and all the major religions consider it a sin. Many people, particularly in the Western world, find it extremely difficult to understand why someone who is mentally healthy would want to kill themselves. Suicide is widely regarded as a highly individual act and it is usually associated, in the public mind at least, with mental health problems such as Depression. Brewer posits that the vast majority of suicides and parasuicides are related to Depression. According to Stan Chehill & Sonia Kutcher (2012), 50% of suicide deaths are associated with Depression. Having this condition or another mood disorder such as Bipolar Disorder increases the risk of suicide 20-fold. Jim Van Os & Shitij Kapur (2009) report that about 5% of schizophrenics commit suicide – a lower figure than that of DSM -IV- TR (2000) which put the rate at 10%. Personality disorders, eating disorders and Post-Traumatic Stress Disorder are also high risk conditions for suicide. Bernard Chang, David Gitlin & Ronak Patel (2011) note that, of those who have been admitted to a psychiatric unit, their lifetime risk of completed suicide is about 8.6%. However, a closer look at the research reveals that suicide is a far more complex issue than simply being an outcome of mental illness. For example, Jerry Jacobs (1967) studied 112 suicide notes written by both adults and young people who had committed suicide in the Los Angeles area. (Jacobs had started off looking at attempted suicide by young people but then gained access to the notes of successful suicides as well.) He was struck by just how sensible and rational the arguments put forward by the note-makers were. Jacobs then conducted what he termed a phenomenological analysis of the notes. This involved trying to get into the mind of the deceased and thinking about the “conscious deliberation that takes place before the individual is able to consider and execute the act of suicide” (p15). From this, Jacobs was able to categorise the notes into 6 distinct groups, reflecting different reasons and intentions. Eg: one group of people committed suicide because they were ill and no longer wished to carry on; this group then sub-divided into those who asked forgiveness and those who did not. Thanks to Émile Durkheim’s groundbreaking study of suicide in 1987, it is clear that there are different types of suicide and that there are significant social and cultural factors which influence suicide. 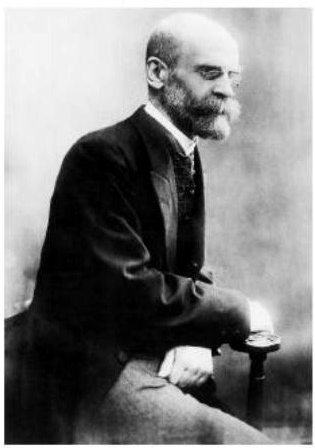 For well over half a century Durkheim’s study dominated thought in Sociology and, to some considerable extent, the other behavioural sciences. This was both in terms of content – ie: the reasons people commit suicide – and as a model for how sociological research should be conducted. Even today Durkheim’s study is the starting point for investigating the phenomenon of suicide. It was the study against which all other studies on this topic are compared. Durkheim chose to study suicide for a number of reasons. In late 19th Century France the new behavioural science of Sociology was gradually becoming established as an academic discipline. Durkheim wanted to reinforce this process and demonstrate how his particular approach to the subject was superior to others. He wished to use his study to show how there was a sociological level of analysis which was distinct from other disciplines and which made an important contribution to the explanation of social phenomena. In particular, Durkheim attempted to show that suicide could not be fully explained by psychologists and that Sociology could explain aspects of suicide which Psychology could not. Durkheim did not deny that particular circumstances could lead to a particular person taking their own life but he believed that personal reasons could not account for the suicide rate. He tried to show that there was no relationship between the incidence of ‘insanity’ (which many psychologists associated with suicide) and the suicide rate. Eg: he found that Jews had higher rates of insanity than other religious groups, but they had lower rates of suicide. Durkheim also chose to study suicide because of the availability of suicide statistics from a number of European countries. He regarded these statistics as social facts and believed that they could be used to find the sociological causes of suicide rates. He hoped to uncover the patterns at work in the production of suicide rates. In this way he aimed to demonstrate that Sociology was as rigorous a discipline as the natural sciences. Durkheim first tried to show that suicide rates were relatively stable in a particular society over a period of time. From death certificates and other official documents, he was able to show that, over the periods covered, there was indeed a remarkable consistency in the comparative suicide rates of the European societies in question. Durkheim felt able to claim: “The suicide rate is therefore a factual order, unified and definite, as is shown by both its permanence and its variability.” He also found consistent variations in the suicide rate between different groups within the same society. He believed it was impossible to explain these patterns if suicide was seen solely as a personal and individual act. Religion: Protestants were more likely to commit suicide than Catholics. The suicide rate was much higher in Protestant than Catholic countries. Similar differences could also be found between Protestant and Catholic areas within the same country. Jews had a low suicide rate, lower even than Roman Catholics. Durkheim recognised the possibility that it might be national culture rather than the main religion of particular countries that accounted for their suicide rate. In order to test whether this was the case, he checked on differences within the population of particular countries to see whether these differences supported his views on the importance of religion. The evidence supported Durkheim. Eg: Bavaria, the area of Germany with the highest number of Roman Catholics, also had the lowest suicide rate. Durkheim also checked the relative importance of different factors: he found that high suicide rates were correlated with high levels of education. However, he established that religion was more important than level of education. Jews had a low suicide rate despite having high levels of education. Family relationships: those who were married were less likely to commit suicide than those who were single, widowed or divorced. Whether people had children or not was also very important. Indeed, the suicide rate for married women was lower than that for single women only if they had children Married women who remained childless for a number of years had a high suicide rate. War and peace: the suicide rate dropped in time of war. After war broke out in 1866 between Austria and Italy, the suicide rate fell by 14% in both countries. This effect was felt not only in victorious but also in defeated countries. Thus, Germany defeated France in the war of 1870 but the suicide rate fell in both countries. Economic crisis: suicide rates rose at times of economic crisis. It might be expected that a recession that caused bankruptcies and unemployment and that increasing poverty would send up the suicide rate. Suicide rates also rose, however, when economies boomed. It was not worsening economic conditions but sudden changes in them that caused suicide rates to rise. To explain these patterns, Durkheim turned to his concept of the collective conscience (1893) – the core shared values of a social grouping – and social cohesion. He argued that people are naturally selfish and will not concern themselves with the problems of others unless society obliges them to. Society, he argued, does this by making people aware of their social bonds to others. Thus, the greater the level of social integration, the more harmonious the society. Durkheim argued that society achieves this form of social control through the common values taught through the family (primary socialisation). He also perceived that religion had a major role in reinforcing such common values. Durkheim argued that those who feel most integrated into society are those with close family ties. Those without such relationships are those least bonded to society. Though he wouldn’t have known about the concept, Durkheim was unwittingly pinpointing the importance of the PURPLE vMEME and its need to find belonging. Without belonging, safety is easily compromised – and this can undermine the BEIGE vMEME’s survival drive. To illustrate the devastating effect when the drive to belong is frustrated, Thomas Joiner (2005) quotes from a suicide note from a jumper on the Golden Gate Bridge in San Francisco: “I’m walking to the bridge. If one person smiles at me on the way, I will not jump.” Presumably the jumper didn’t even find a solitary smile on the way to his death. Religions, Durkheim noted, differ to what degree they emphasise social responsibility and interaction. Protestant versions of Christianity tend to emphasise more the importance of individual fulfilment – thus feeding RED and, in some people, ORANGE – while Roman Catholicism places greater emphasis on the group and relegates the importance of the individual. Religions like Hinduism also consider the search for personal happiness relatively unimportant when set against the interests of the group. Durkheim hypothesised that people who are less socially integrated – eg: Protestant, poor family/social networks – were more likely to commit suicide. In Egoistic societies, individual rights, interests and welfare are heavily stressed and allegiance to the wider group is weak. People are encouraged to look after themselves and those particularly close to them – often at the expense of wider society. As a result, social bonds are weak and there is a low level of social integration. Egoistic societies are closely related to Protestantism, with people encouraged to make their own decisions and to be responsible for the consequences. Durkheim noted that the Catholic religion integrated its members more strongly into a religious community, The long-established beliefs and traditional rituals of the Catholic Church provided a uniform system of religious belief and practice into which the lives of its members were closely intertwined. The Catholic faith was rarely questioned and the Church had strong controls over the conscience and behaviour of its members. The result was a homogeneous community, unified and integrated by uniform belief and standardised ritual. By comparison, the Protestant Church encouraged its members to develop their own interpretation of religion, placed less emphasis on collective rituals and emphasised the individual’s direct relationship with God. Protestantism advocated ‘free inquiry’ rather than the imposition of traditional religious dogma. To Durkheim: “The Protestant is far more the author of his faith.” As a result, Protestants were less likely to belong to a community that was unified by a commitment to common religious beliefs and practices. Durkheim concluded that the higher rate of suicide associated with Protestantism “results from its being a less strongly integrated church than the Catholic church”. Culturally, individual failure or unhappiness are viewed as more understandable grounds for people to take their own lives. Thus, Egoistic suicide is more common in contemporary northern European and North American societies with their cultural emphasis on the ‘express self’ side of the Spiral. It is worth noting here that the RED vMEME is desperate to avoid shame. If there is no way to avoid overwhelming shame and the underpinning PURPLE is weak and/or frustrated by little or no sense of belonging, then suicide may indeed be an option. However, within the societies discussed, there are still social institutions and forms of religion – eg: Catholicism – which counteract the prevalent Egoistic values and encourage both a wider sense of belonging and responsibility to the wider community. Durkheim also emphasised that war and other forms of threat tend to pull people in such societies more together. Within such societies, people who are more socially integrated, through church or family, were less likely to commit suicide. Eg: married people were less likely to commit suicide than single people. In Altruistic societies, the welfare of individuals is viewed as far less important than the group. Individual choice or happiness is simply not a high priority. Therefore, Durkheim, argued, there is simply not enough motivation for individuals to commit suicide – except on behalf of the group. Individuals are so strongly integrated into their society that they would make the ultimate sacrifice for the benefit of others. This altruistic suicide occurs when the individual is expected to commit suicide on behalf of the wider society He used the term ‘altruistic’ to convey the idea that the individual self is totally subordinated to others. Durkheim saw this form of suicide as characteristic of ‘primitive’ societies and cited Hindu widows killing themselves at their husband’s funeral (a practice known as ‘suttee’) – as well as in traditional Ashanti society some of the king’s followers being expected to commit suicide after the death of the monarch. These examples demonstrate the effect of PURPLE’s unquestioning adherence to traditions and rituals in its quest to belong to the group. Durkheim also saw it was also found amongst the military where it still existed as a kind of relic from earlier times. A notable example of military Altruistic suicide occurred during the later stages of World War II when Japanese ‘kamikaze’ pilots were encouraged to die for the honour of their ‘god-emperor’ by crashing their planes into Allied warships. This is perhaps also an example of BLUE doing its duty. A contemporary example of military Altruistic suicide is the suicide bomber, prepared to sacrifice themselves for their political or religious cause. The rise of Islamist militarism and terrorism makes Altruistic suicide a potent weapon in radical Islam’s war with the West. See also the Blog: Inside the Mind of a Suicide Bomber…? Societies develop cultural and social mechanisms to provide a framework for what are and aren’t acceptable actions – ie: the regulation of behaviour, whether by the more informal methods of social control favoured by PURPLE or the legalistic, formal systems used by BLUE. Durkheim postulated that people revert to their natural selfishness or are simply bewildered and become uncertain as to how they should behave if these restraints are weakened and break down – a social condition Durkheim termed anomie. Social restraints on behaviour are most likely to weaken during periods of significant social change – eg: during an economic or political crisis. Thus, Durkheim saw Anomic suicide as resulting from rapid social change. 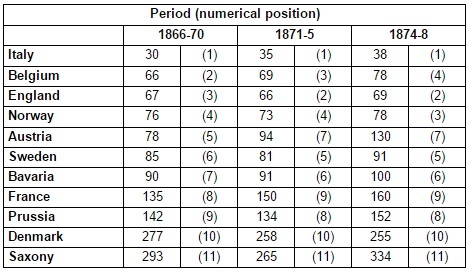 Durkheim found that suicide rates rose during periods of economic depression, such as the period following the crash of the Paris Bourse (stock exchange) in 1882. A number of studies since – eg: Cameron Stark, Vincent Riordan & Rory O’Connor (2011) – have noted the association between rapid economic decline and suicide. However, Durkheim also discovered that suicide rates rose during economic prosperity. The conquest of Rome by Victor Emmanuel in 1870 formed the basis of Italian unity and led to an economic boom with rapidly rising salaries and living standards; but it also led to a rising suicide rate. Durkheim reasoned that both booms and slumps brought the uncertainty of anomie – and so more suicides. Oppressive societies may produce Fatalistic suicides in which people find themselves so oppressed they lose the will to live and prefer to die, “with futures pitilessly blocked and passions violently choked by oppressive discipline”. In other words, the basic BEIGE survival motivation is compromised through sheer hopelessness. Durkheim gave as an example the suicide of slaves, but he considered this type of suicide to be of little contemporary significance and discussed it in a footnote only. Some sociologists since have hypothesised that it could account for the fairly high levels of suicide in prisons. A quite spectacular Fatalistic suicide in recent times was the self-immolation of Mohammed Bouazizi in Tunisia in December 2010 in a despairing protest at his hopeless poverty.. His act was imitated across the Middle East by others who also felt trapped in grinding poverty by their governments’ oppressive policies. Bouazizi’s suicide served as the catalyst which triggered the Tunisian revolution and the so-called ‘Arab Spring’ which followed. Durkheim recognised that egoism and anomie were often found together, as, for example, when divorce occurred. He thought they were problems that affected all industrial societies to a greater or lesser extent. Due to the highly specialised division of labour in such societies, they were less integrated than simple or ‘primitive’ societies. On the other hand, pre-industrial societies were more likely to suffer from Altruistic and Fatalistic suicides. Behavioural scientists studying suicide who adopt positivistic methods have generally praised most aspects of Durkheim’s work. Maurice Halbwachs (1930) attempted to refine Durkheim’s work but did not challenge the use of a ‘scientific’ approach in the study of suicide. Indeed, he claimed Durkheim had been able to provide “a fully comprehensive treatment of the phenomenon of suicide, which could be modified and added to, but which in principle seems unassailable”. Halbwachs could add to and modify Durkheim’s work by making use of both the more recent suicide statistics that had become available and new methods of statistical analysis, such as the use of correlation coefficients. On the whole he confirmed what Durkheim had found. He did argue, however, that Durkheim had overestimated the importance of religion in determining the suicide rate. Halbwachs claimed to have found that differences between living in urban and rural areas had more impact than differences between Catholics and Protestants. Interestingly, a number of studies – such as that of William Eaton, Preben Bo Mortensen & Morten Frydenberg (2000) – have shown that Schizophrenia is more likely to develop in people in urban rather than rural areas. As a high percentage of schizophrenics commit suicide, Halbwachs’ relating the incidence of suicide to urban or rural living – is undoubtedly worthy of further consideration. The analysis depends upon the concept of social cohesion as Durkheim argues suicide varies as it varies – a negative correlation. Yet Durkheim never provides a clear, unambiguous definition of what he means by ‘social cohesion’. Nor is it obviously operationalisable. How positivistic Durkheim actually was or wasn’t is also picked up by Mary Maynard (1989). She points out that England, in the period for which Durkheim collected data, created a problem for his finding that the suicide rate in Protestant countries was significantly higher than in Catholic countries as the English suicide rate was much lower than in other Protestant countries. Durkheim attempted to explain this by arguing that the English parish system and the high proportion of clergy to laity gave it some of the characteristics of the Catholic Church and, therefore, greater social integration. However, Maynard argues that Durkheim didn’t know, from research, that these factors were what made the difference. He assumed they were, from his own ideas and views about England. Interpretivistic sociologists have criticised Durkheim’s study of suicide from the basic premise that scientific methods are an inappropriate way of studying human beings and, therefore, the positivistic approach is fundamentally flawed. Jack Douglas (1967) particularly criticised the use of official statistics in the study of suicide, questioning their validity. He pointed out that the decision as to whether a sudden death is suicide is made by a coroner and is influenced by other people, such as the family and friends of the deceased. Douglas suggested that systematic bias may enter the process of reaching a decision and that this bias could explain Durkheim’s findings. Eg: when a person is well integrated into a social group, family and friends might be more likely to deny the possibility of suicide, both to themselves and to the coroner. They may feel a sense of personal responsibility which leads them to try to cover up the suicide. This would be particularly so in Catholic-dominated countries where there is a considerable stigma attached to suicide. With less well-integrated members of society, this is less likely to happen. Thus, official statistics may not be reliable and, while it might appear that the number of suicides is related to integration, in reality the degree of integration simply affects the chances of sudden death being recorded as suicide. Douglas saw suicide statistics as the result of negotiations between the different parties involved. However, he suggested that the distortions in the statistics were systematic. By implication, it might be possible to reduce or allow for these distortions to produce more reliable statistics which could be used to explain suicide. In order to categorise suicides according to their meanings, Douglas suggests it is necessary to conduct case studies to discover the meanings of particular suicides. These case studies could be based upon interviews with those who knew the person well and analysis of the suicide notes and diaries of the deceased. In other societies different meanings might be more common. According to Douglas, therefore, there is no single act that can be termed ‘suicide’. As the meanings people place upon the act are so different, they cannot be categorised as the same phenomenon. From this perspective, Durkheim’s statistical comparisons are worthless. Douglas’s approach has been developed further by Jean Baechler (1979). Baechler makes extensive use of case studies of suicide in existing literature and classifies suicides according to their meanings. He sees suicidal behaviour as a way of responding to and trying to solve a problem. Suicide is adopted when there seems to be no alternative solution. From this perspective it is possible to classify suicides according to the type of solution they offer and the type of situation they are a response to. Escapist suicides take 3 forms. Some people take their own life as a means of flight from an intolerable situation. For others, suicide is a response to grief about the loss of something in particular – perhaps a loved one or even a limb. Suicide may also be a means of self-punishment used by a person when they feel they have done wrong; this can be seen as a person’s BLUE vMEME turning upon them as a result of the wrongdoing. Aggressive suicides are a way of harming another person or people. There are 4 types of aggressive suicide. Vengeance suicides are intended to make another person feel guilty or to bring condemnation of them from society. Eg: a wife committing suicide to draw attention to her husband’s cruelty. Crime suicides involve killing another person during the suicidal behaviour. Eg: when someone shoots a spouse and then turns the gun on themselves. Blackmail suicides are used to persuade someone else to change their behaviour and treat the suicide victim better. Appeal suicides are used to show others that the person concerned is in need of help. Blackmail and appeal are often the ends pursued by those who make suicide attempts that either fail or are not entirely serious. Oblative suicides are a way of achieving something that is particularly valued by the suicide victim. Sacrifice involves giving up one’s own life to save another person. Transfiguration suicides are used in order to obtain a more desirable state: for example, to join a loved one in the afterlife. Ludic suicides involve taking deliberate risks that might lead to death. There are 2 types: the ordeal and the game. Ordeals are ways by which an individual tries to prove themselves to others by showing their bravery. Games involve taking risks ‘for the hell of it’: for example, playing Russian roulette with nobody else present. Both can be seen as indicative of the RED vMEME, with its poor sense of consequences, dominating the selfplex. Baechler is more explicit than Douglas in suggesting that causes of suicide can be found. However, unlike Durkheim, he does not believe that suicide can be explained wholly or even mainly in terms of external factors. “Whatever the external factor considered, it always happens that the number of those who do not commit suicide is infinitely greater than the number of those who do.” Not everyone whose business fails, or whose spouse dies, or who is a Protestant in an urban area, kills themselves. Thus, to Baechler, suicide must always be at least partially explained through ‘personal factors’ that are particular to an individual. Steve Taylor (1989) criticises both Douglas and Baechler for failing to recognise the value of Durkheim’s work. He also questions the worth of schemes that are designed to categorise suicides according to their social meanings. Commenting on Baechler, he points out that individual cases often fit a number of categories, depending on the interpretation the researcher makes of the victim’s motives. There is no reason to believe that these interpretations are any more reliable than suicide statistics. Taylor also criticises Douglas for contradicting himself. At some points Douglas implies that suicide statistics can never be reliable since it is always a matter of judgement whether a death is a suicide. At other times he suggests that causes of suicide can be found. It is difficult to see how this can be true if it is impossible to be certain whether an act is a suicide. This criticism has strongly influenced phenomenological views on suicide.